This is the first critical analysis of the international attempts to settle the Kosovo crisis, written from first hand insights of the settlement attempts. It covers several strands of analysis, including the tension between state sovereignty and humanitarian concerns, and the ro... read full description below. This book offers the first critical analysis of the international attempts to settle the Kosovo crisis from its inception to Kosovo's declaration of independence. The author participated in most of these settlement attempts, including the Carrington Conference on the former Yugoslavia and the Rambouillet and Ahtisaari negotiations. On this basis, the book provides first hand insights into the failure of high-level international diplomacy in dealing with one of the most explosive crises to hit the European continent since 1945. The introductory chapters offer a brief account of the background to the crisis, identifying the structural tensions in the modern international system that made it so difficult for the organized international community to address the episode effectively. 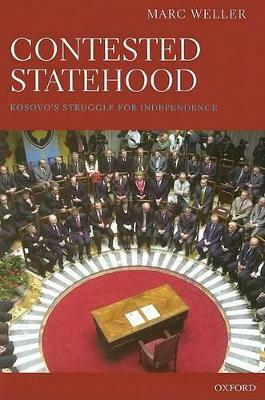 The book addresses the initial settlement attempts, from the London Peace Conference on Yugoslavia of 1991 to the Geneva negotiations and the impact of the Dayton peace conference on the situation in Kosovo. The second part of the book considers the first attempt of addressing the Kosovo crisis on its own terms, initially through the shuttle diplomacy of US Ambassador Chris Hill over the summer of 1998.The Holbrooke agreement, obtained under the threat of NATO air strikes and providing for a cease-fire is then considered, along with further attempts to obtain a political settlement during this purported breathing space. The book then turns to the extraordinary episode of the Rambouillet Peace Conference and the subsequent use of force against the rump Yugoslavia. The final part of the book addresses the attempts to prepare for final status during the UN administration of Kosovo. The initial constitutional framework for Kosovo is discussed, along with the abortive 'standards before status' policy. This is followed by a detailed analysis of the Vienna negotiations on final status, and the subsequent tug of war at the United Nations about Security Council endorsement of the result. The book concludes with an analysis of the comprehensive proposal for a settlement proposed by UN envoy Martti Ahtisaari and its eventual recasting into the constitution of Kosovo upon unilateral independence.This book ties together several strands of analysis, including the tension between state sovereignty and humanitarian concerns, the problem of squaring the doctrine of territorial unity with the principle of self-determination, the reluctance of international actors to involve themselves in internal conflicts, in particular where secessionist conflicts are concerned, and the role of the threat or use of force in the context of coercive international diplomacy. Dr Marc Weller is a Reader in International Law and International Relations in the University of Cambridge, the Director of the European Centre for Minority Issues, a Fellow of Hughes Hall and a Fellow of the Lauterpacht Centre for International Law. He is also the Director of the Cambridge Carnegie Project on the Settlement of Self-determination Disputes. He has been active as a legal advisor in relation to most aspects of the Yugoslav conflict, and in many other international peace settlements. His most recent publications include Universal Minority Rights (Oxford University Press 2007), Twenty Years of Crisis: The Violent Dissolution of Yugoslavia in International Law (Oxford University Press, 2008), Settling Self-determination Disputes (Nijhoff 2008), Peace Lost (Nijhoff 2008) and The Future of International Law (Polity 2009).